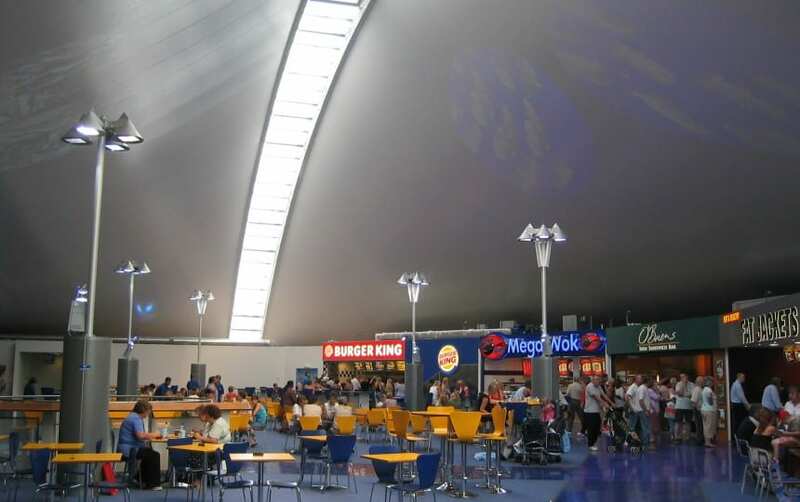 We all know that one of the major benefits of using ETFE foil is its light transmission but what happens if it lets in too much light? 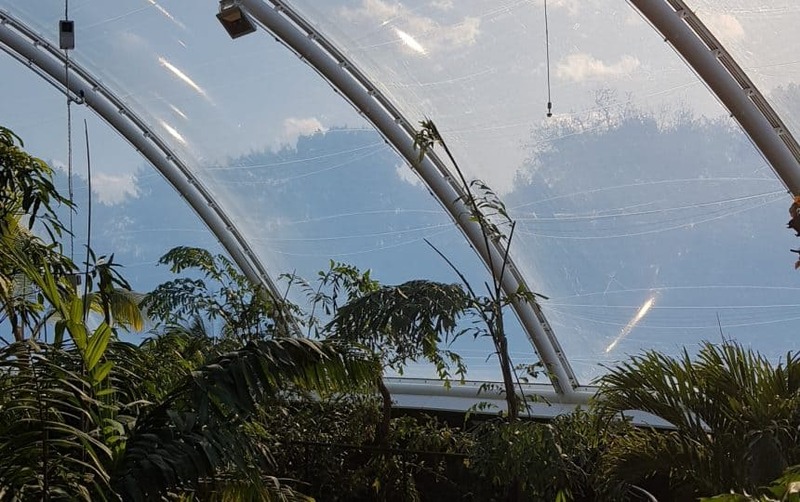 In its clear form, a single layer of ETFE foil can transmit up to 85% of the light which hits its surface. 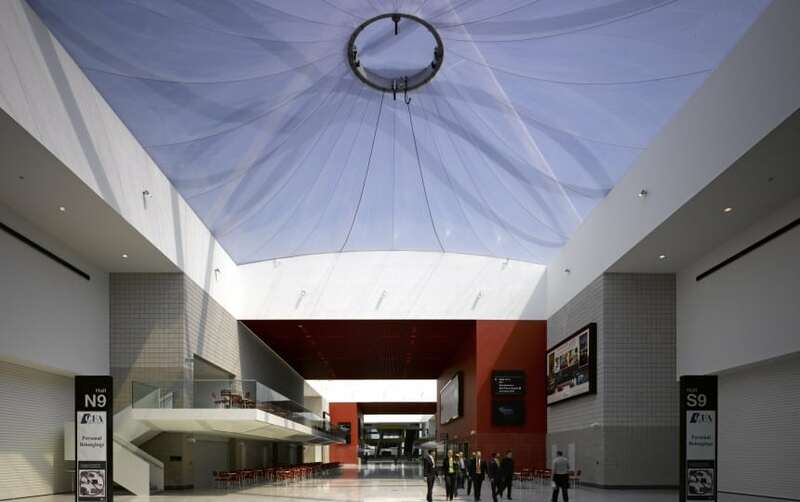 Unlike traditional fabric structures, ETFE Foil is an extruded material and therefore has a smooth surface. 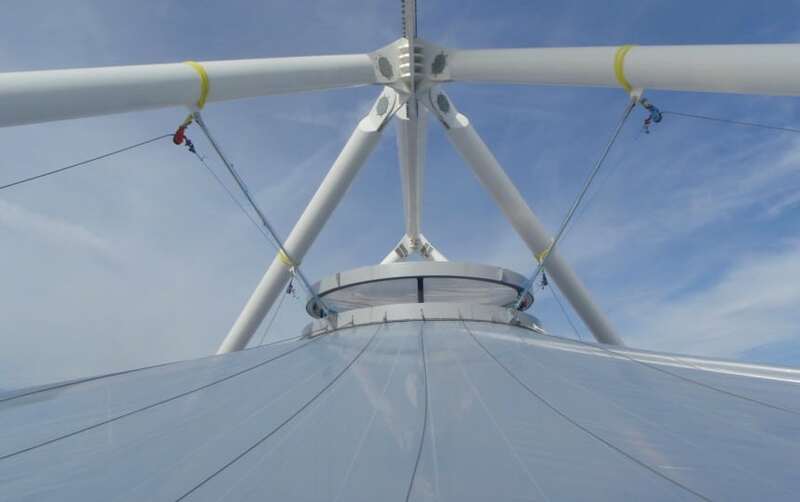 This smoothness reduces the amount of dirt retained on the ETFE foil surface and allows the rain to wash away the majority of bird droppings and dirt. 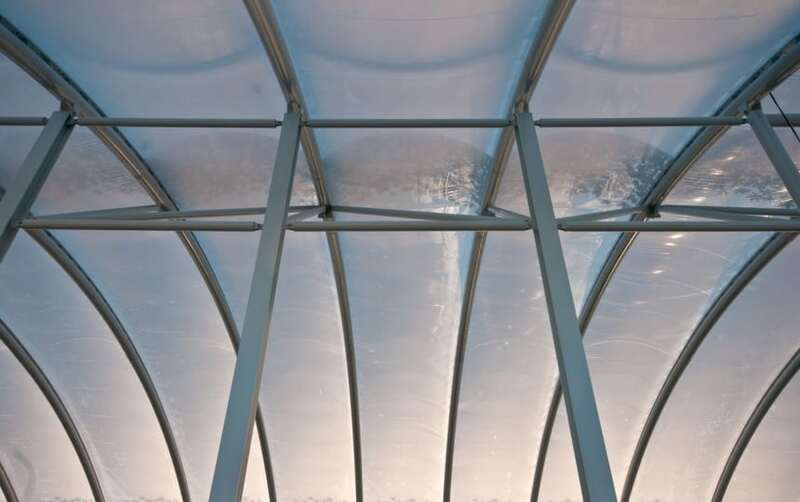 As a specialist in the design, manufacture and installation of ETFE cushion systems, we get asked questions about all aspects of the product, it’s uses, practicalities and benefits. From yurts made of animal skins, to NASA space suits made of PTFE, fabrics have evolved and changed over time and yet all suffer from some form of environmental build-up. 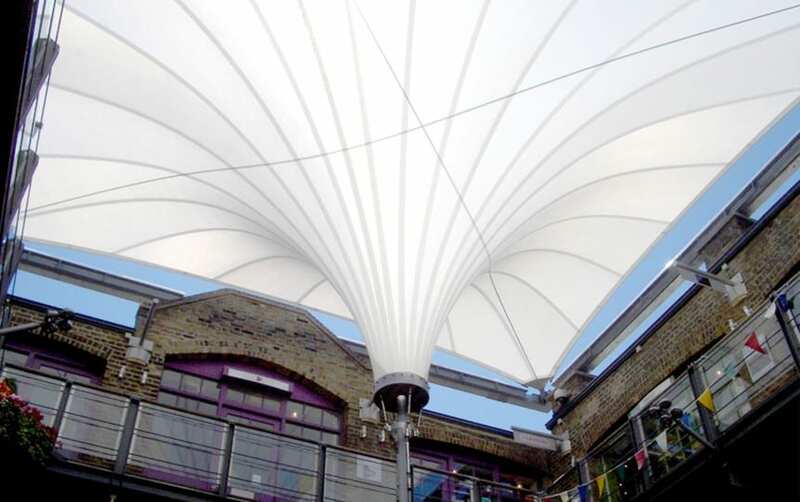 Architen Landrell is excited to now be designing and manufacturing with the latest in fabric technology: PVC & PTFE fabrics coated with Titanium Dioxide (TiO2). 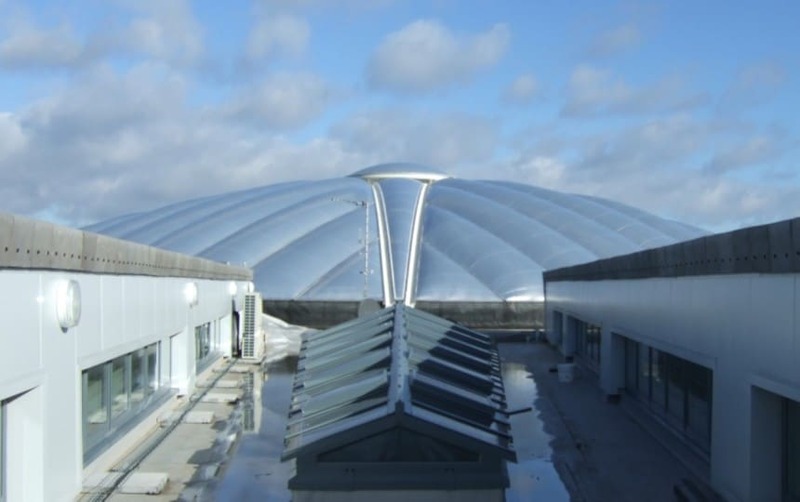 ETFE foil roofs can be supplied as a single layer membrane supported by a cable net system or commonly as a series of pneumatic cushions made up of between two and five layers of a modified copolymer called Ethylene Tetra Flouro Ethylene (ETFE). 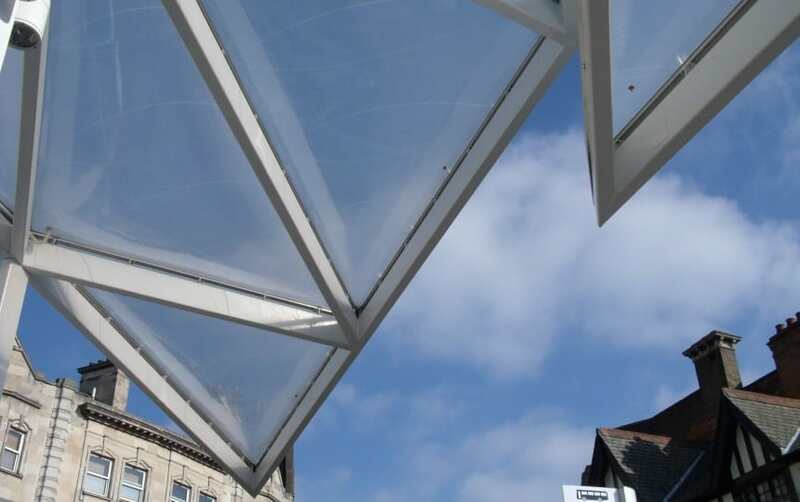 We offer a choice of PVC coated polyester and silicone coated glass cloth for all of our structures. 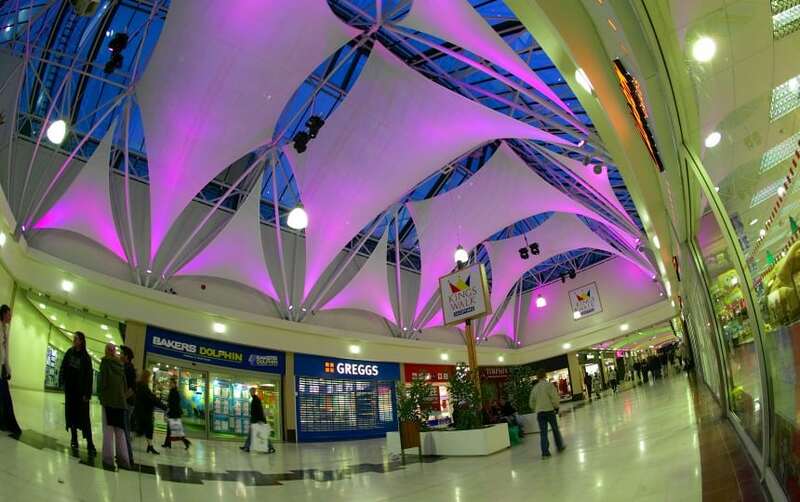 Adopting the same principles of project management, quality and customer service which we offer our architectural clients, Architen Landrell can provide anything from small repairs to large contract cutting and welding projects. Click on the download below to read the brief. 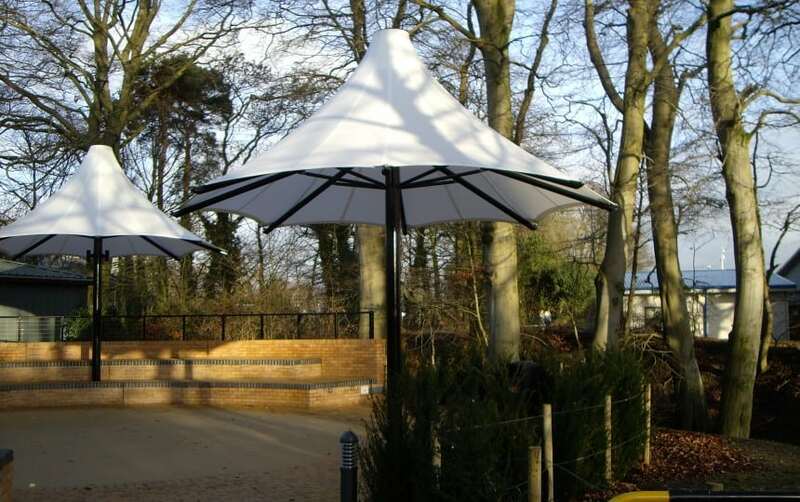 If you are looking for a cost-effective, quick and easy to install fabric feature in your space that looks great, then fabric sails are the best solution. 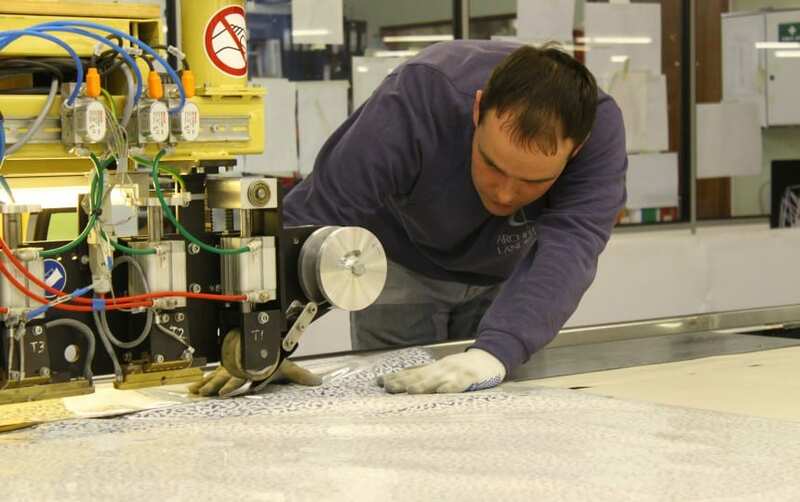 One of the most exciting materials in the design industry Ethylene Tetra Fluoro Ethylene (ETFE) foil has set the construction world alight with the huge range of potential applications. 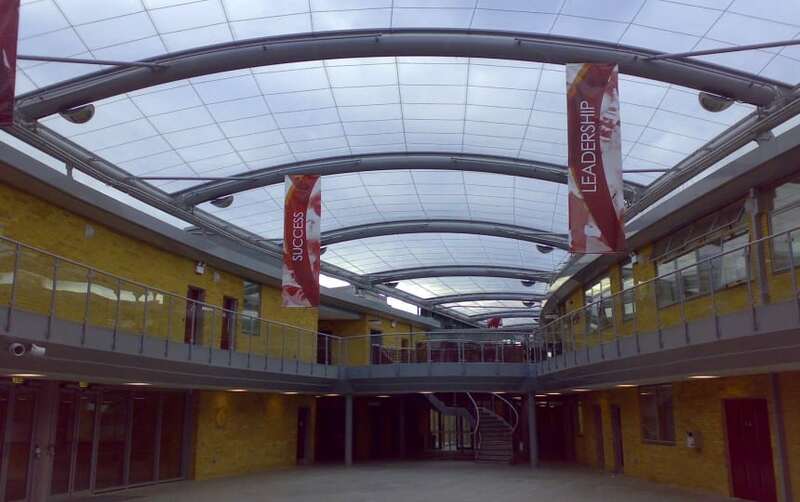 The most sought after building material of the moment, ETFE foil is a high translucency fabric which is extremely practical and economical. Imagine a flat piece of fabric. This article describes Architen Landrell’s development of an acoustic liner for a building called Skyscape. 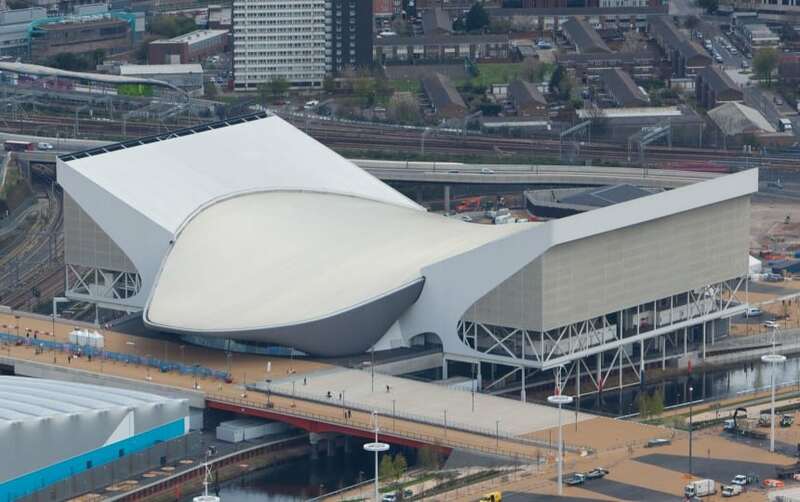 This building was built on the Greenwich site in London as part of our Millennium celebrations and is one of the main attractions provided at the renowned Millennium Dome. 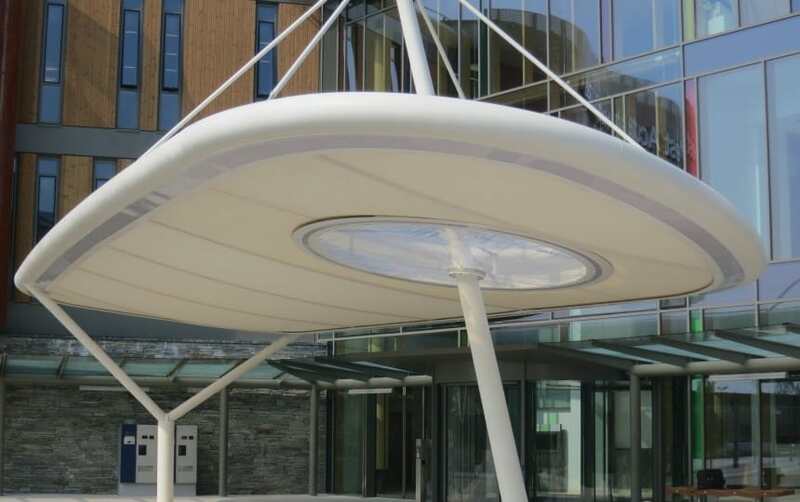 PTFE (Teflon) coated glass cloth has become established as the highest quality architectural membrane for tensile structures. 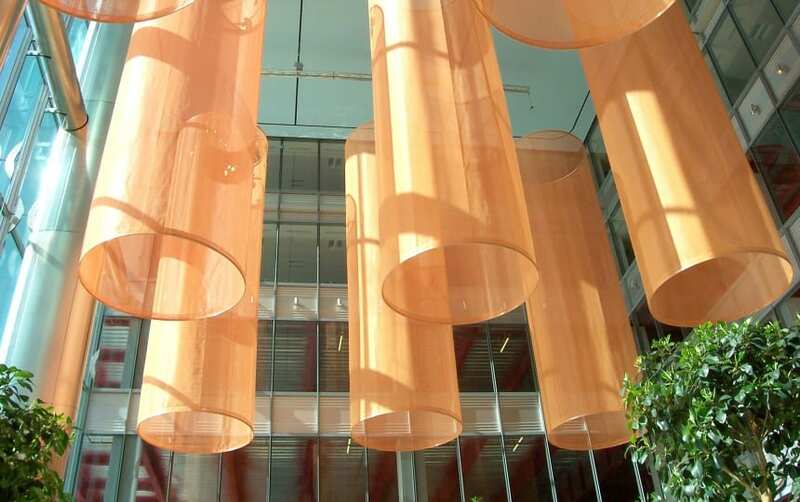 The material was developed by DuPont in the 1960s and has been used for structures since the early 1970s. 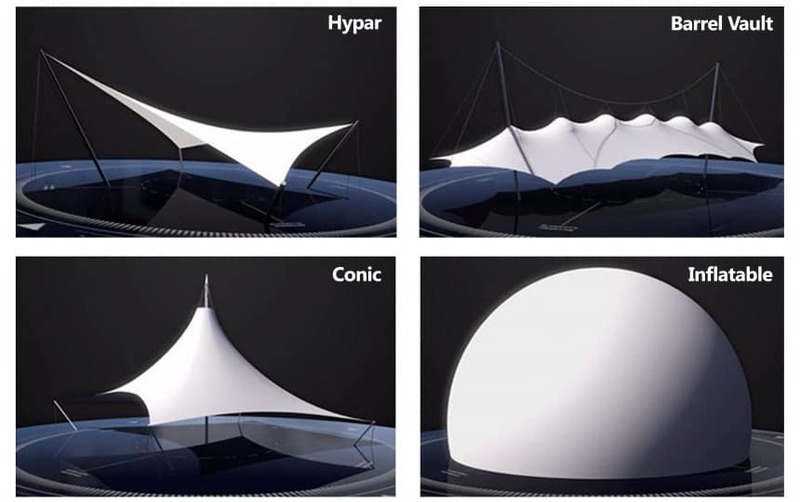 This article will provide you with information on how tensile fabric structures perform in variety of conditions. 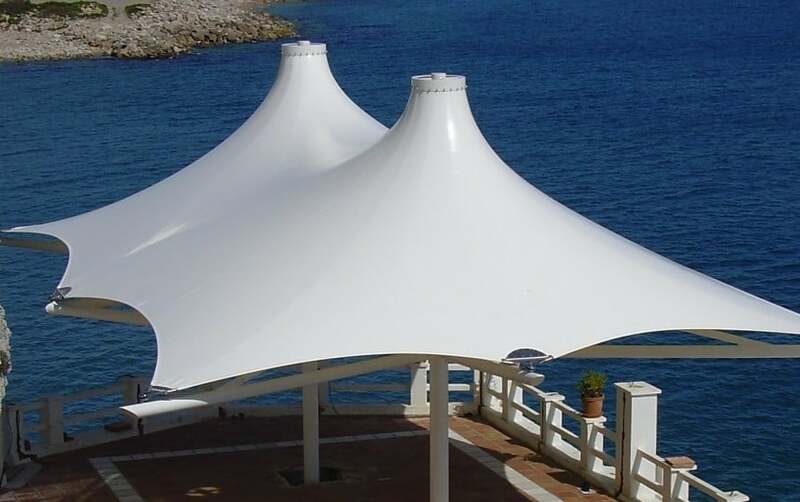 Today’s fabric structures are built to last. 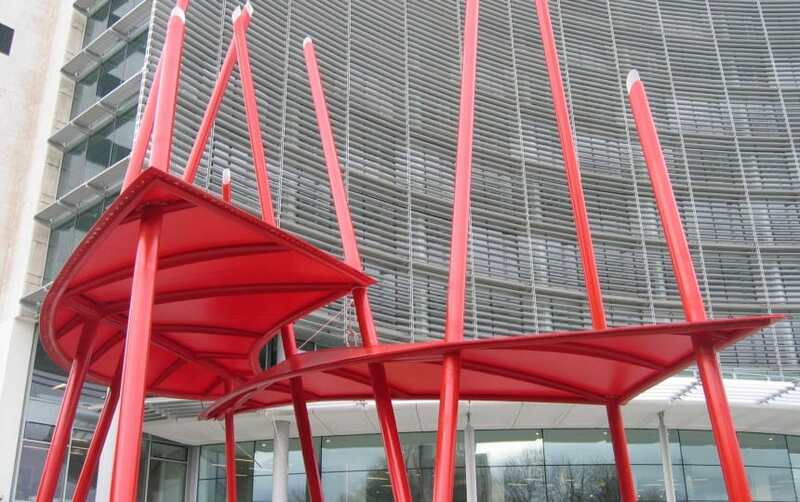 A frequently asked question is if tensiles are suitable for windy sites. 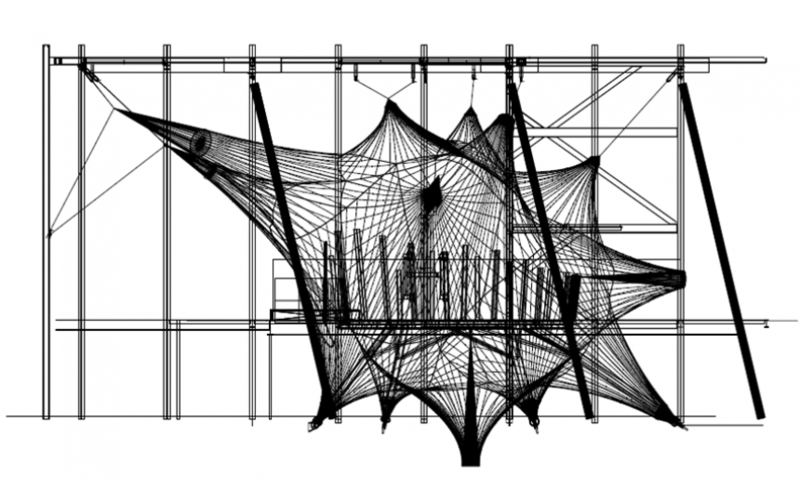 When architects and designers approach us with a tensile fabric structure idea, sometimes they know what type of fabric they want, other times, they look to us for direction. 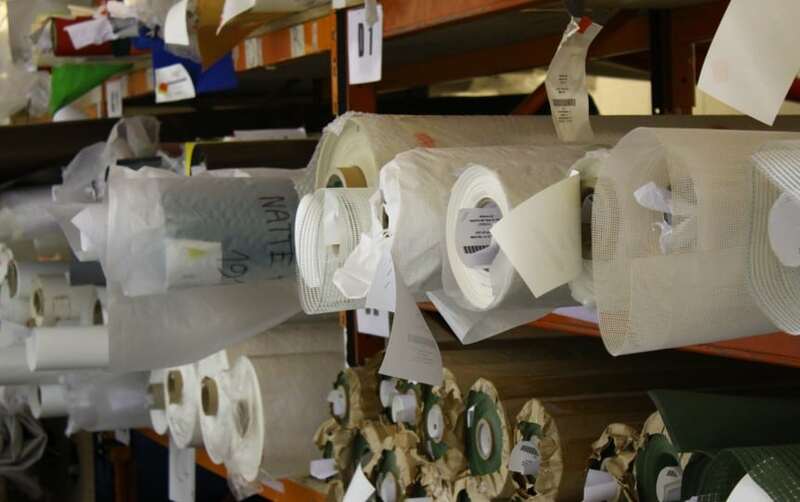 This article provides an overview on the fabrics we design & build with. Today’s fabrics are innovative, allowing you to create iconic spaces. 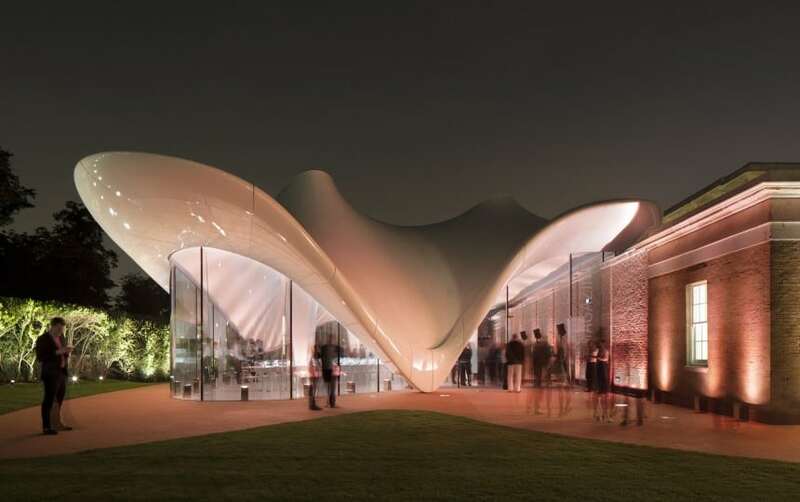 It’s now possible to have a beautifully shaped fabric roof while having it perform competitively against other materials, offering excellent U-Values. 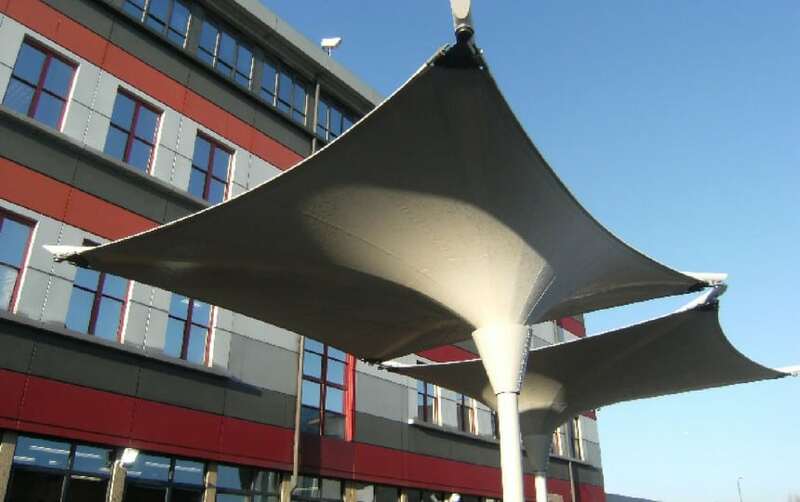 Canopies fall into two main types, those that transfer tensile loads into adjoining structures and those containing the tensile loads within their own frame. The first type may generate large lateral loads which may result in the need for additional in existing structures. 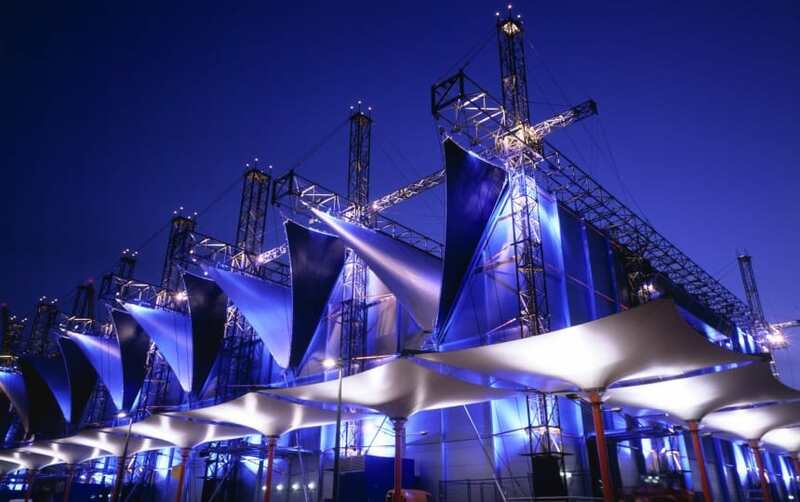 Ethylene Tetra Fluoro Ethylene – not the sexiest of names, however ETFE foil is fast becoming one of the most exciting materials in todays design industry and has set the construction world alight with the potential it offers.